Each of these Bluetooth boomboxes excels at something different: water resistance, power, design features, and we even found one with a CD player for those of you that still rock out to physical media. Here’s our pick of the best Bluetooth boomboxes, and why they could be your new favorite beach and garden accessory. Marshall has the pedigree for being a no-brainer decision when it comes to sound equipment. Its speakers match the same stylings of its famous amps which makes it a stylish fit, whether you’re indoors or outside. 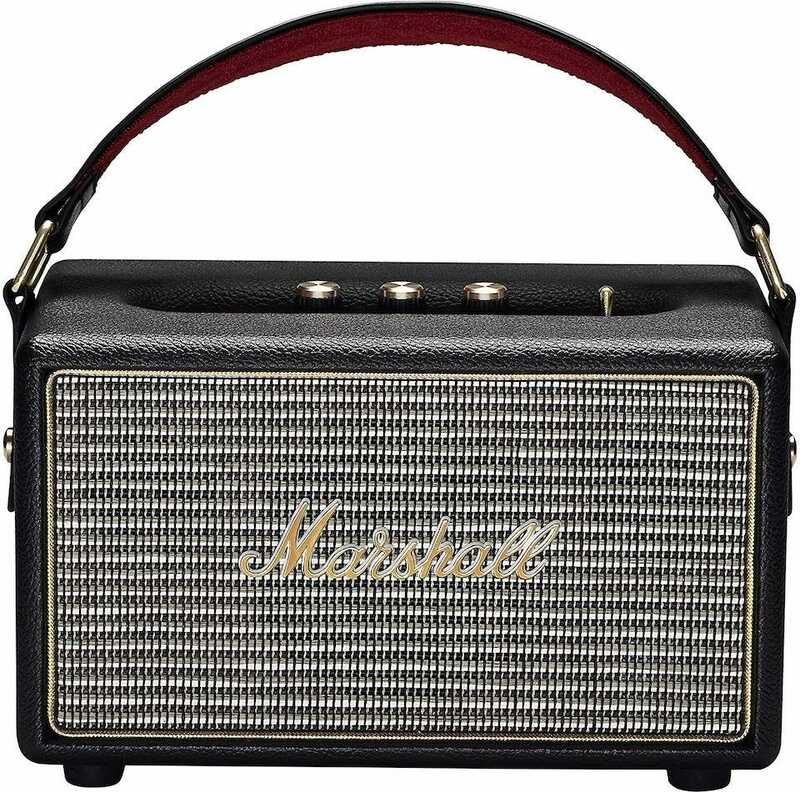 The Marshall Kilburn matches those looks with great sound quality. That’s thanks to its two 3/4″ dome tweeters and 4″ woofer. It has slightly lower powered amps compared to the Marshall Acton, but that simply means its battery life is competent when taking it out and about. You should be able to play music through it for up to about 20 hours with a choice of Bluetooth connectivity, or via the 3.5mm input. Expect clear midranges and extended highs so even the most dedicated audiophile should be happy with the results. 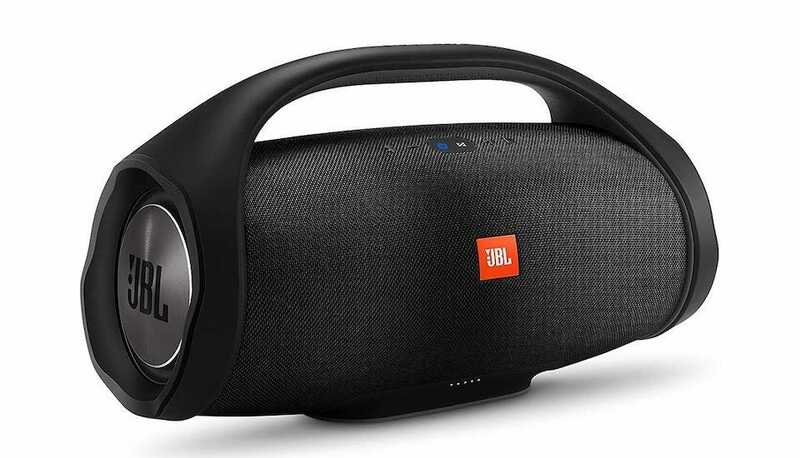 Particularly appropriate for when you love to throw pool parties, the JBL Boombox is rugged enough to deal with a few knocks and scrapes, as well as IPX7 waterproof. That means you can toss it into the pool and it’s fine. It’ll even float in the water if you need it to. The speaker has four active transducers and two bass radiators so it sounds suitably meaty and powerful at all times. That’s not at the expense of the battery life either. Its 20,000mAh battery will keep it playing music for 24 hours without any difficulty. You can also it to charge external devices if you like. Connectivity is limited to Bluetooth only but that should serve well for the majority of its users. For those who want the serious wattage in a boombox form factor, you can’t go wrong with the Aiwa Exos 9. It’s expensive compared to others here, but it’s perfect for those times you want a lot of volume in a portable package. Its 5 powered drivers, 6.5″ subwoofer, and 200 watt output are as powerful as they sound, promising to be the loudest portable Bluetooth speaker out there. That means its battery life is only about 9 hours but that’s still good enough for when you’re heading out for the day or simply want music in your backyard. Elsewhere, the Aiwa Exos 9 offers a 5-band onboard graphic equalizer with a choice of 4 available pre-sets or however you want to tweak it yourself, so it’s good for those that love to tinker. Besides Bluetooth connectivity, there’s also a 3.5mm audio jack and Android NFC is also supported. If you want to plan a massive party, you can also link two speakers together for dual stereo or stereo separated configurations. Want a great light show as well as some great sounds? 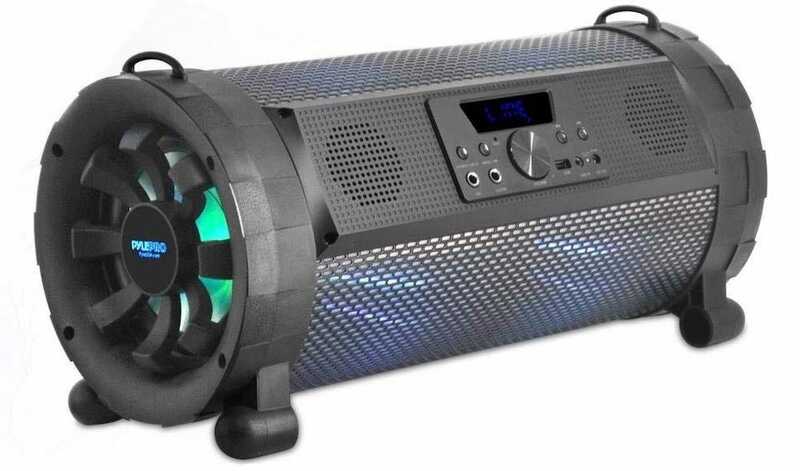 Buy the Pyle Bluetooth Boombox. While its sound quality isn’t as exceptional as pricier options here, it makes up for it with a choice of multi-color flashing LED lights that bounce and pulse in time with the music beats. Besides that, its two 2.5″ speakers and 6.5″ subwoofer does a good job of still sounding great. 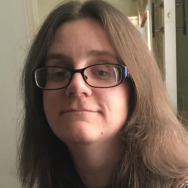 There’s a bunch of choices for connectivity too, including Bluetooth (of course), 3.5mm aux input, a USB slot for MP3 files on a flash drive, FM radio capabilities, and two 1/4 input jacks for a microphone or guitar. The downside? Its battery capacity is 2600mAh so only expect it to last a couple of hours when you’re using all the features. We’re not saying that a CD player is essential these days but every once in a while, you may find yourself scrambling around for something that will play a regular CD. 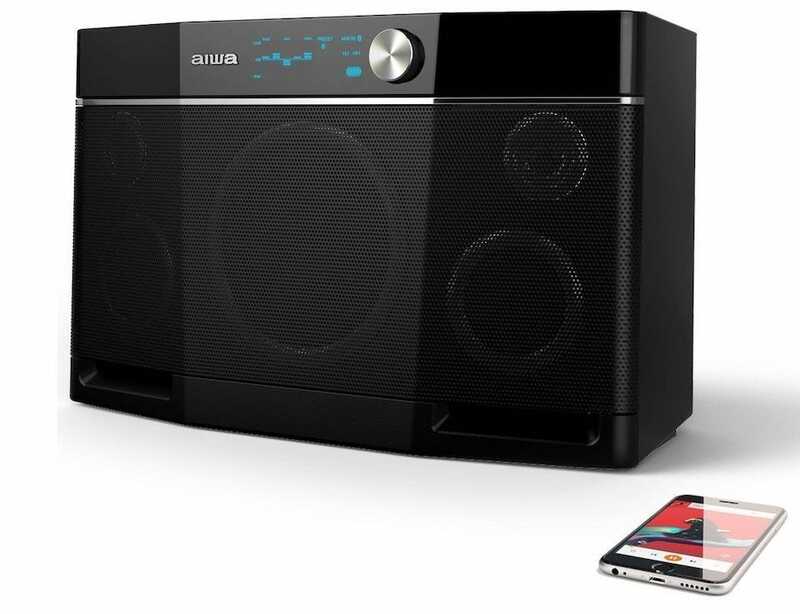 That’s where the Philips Bluetooth Boombox is immensely useful. Its amp might be only 50w but it uses that fairly well. 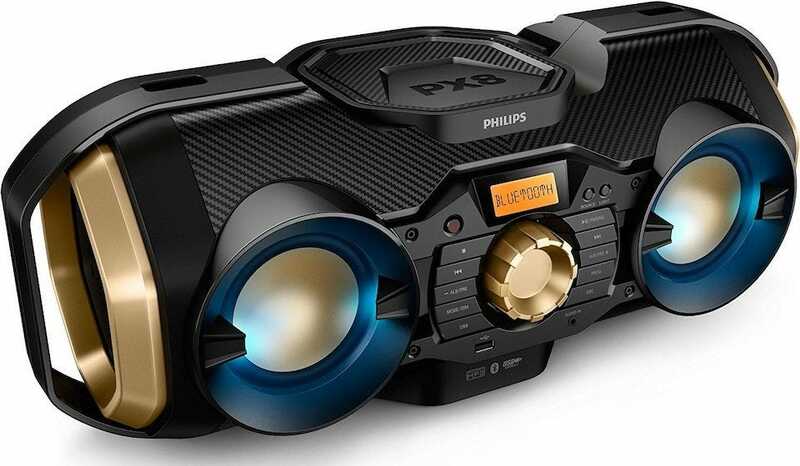 Think of this as like an old school Boombox with some neat tweaks like Bluetooth and USB connectivity, as well as 3.5mm input. There’s also room for an AM/FM tuner and, of course, the CD player. The downside? Well, it doesn’t have a rechargeable battery. Instead, you need to use 8 D batteries to take it on the move which is about as old fashioned sounding as needing a CD player. But hey, it works well when you’ve got it powered up.